The UK's biggest arts centre can be found in the heart of South Bank - made up of five unique venues. The arts centre hosts a festival programme of over 5000 events every year across the genres of art, theatre, dance, classical and contemporary music, literature and debate. For 2017, Southbank Centre places a focus Nordic art and culture - find out more about sustainable food and communal singing, hygge and saunas, paternity leave and the struggle for gender equality. • Individual ticket prices vary depending on performance. 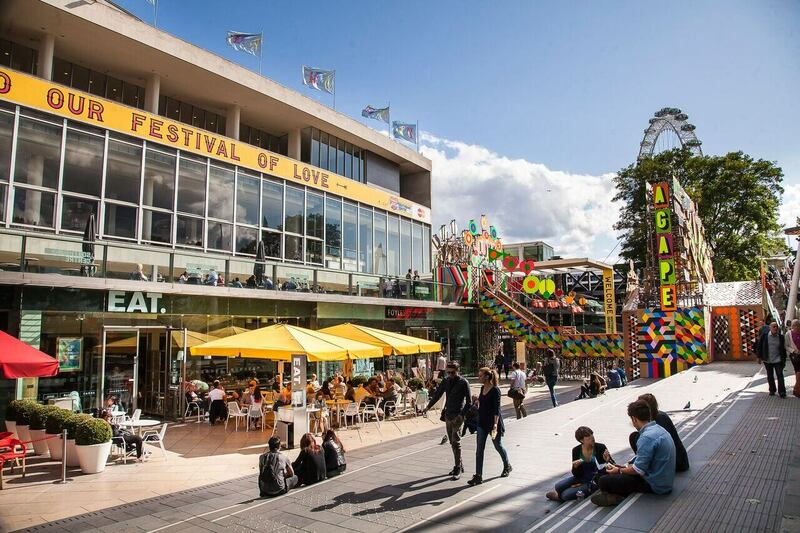 There’s a huge variety of restaurants and bars at Southbank Centre including Ping Pong, Las Iguanas, Wagamama and Riverside Terrace. Southbank Centre Food Market showcases some of the best street food and produce in the capital. Southbank Centre was built in 1951 as part of the Festival of Britain, an idea put forward by the Labour Government as a ‘Tonic to the Nation’ following the ravages of the Second World War. Royal Festival Hall was the first post-war building to become Grade 1 listed and the only building to survive from the Festival of Britain. Their packed programme promotes over 5000 events every year, taking place across their 85,000m2 site. A beautiful garden sits on the roof of the Queen Elizabeth Hall, filled with wild flowers, vegetable patches...and a bar.